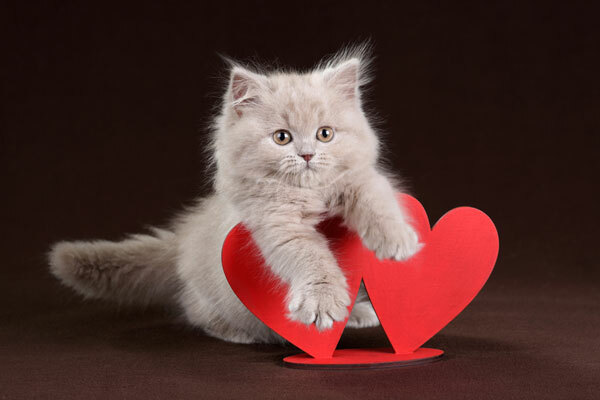 Looking for a way to celebrate our feline friends in February? 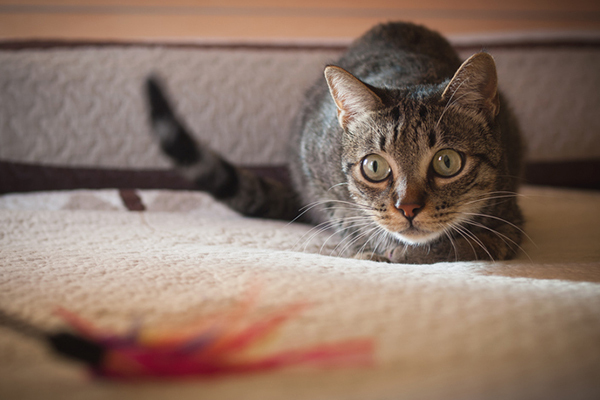 Here are some fun February 2019 cat events. This cutie from the red team is ready to play! Photography courtesy Hallmark Channel. For those who love Kitten Bowl (and who doesn’t?! 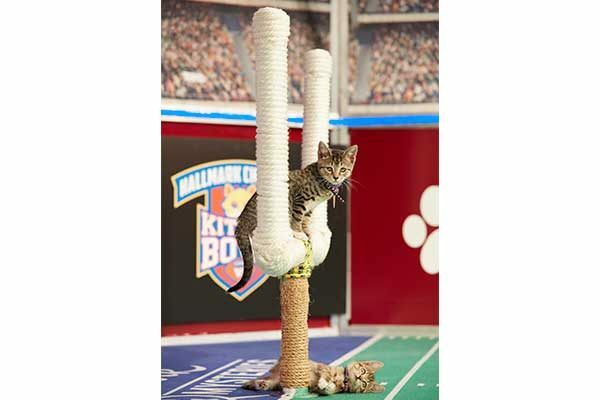 ), this new TV special featuring adult cats and seniors playing a feline Hall of Fame game is definitely a touchdown. A precursor to the 6thAnnual Kitten Bowl Live, the show is part of the Hallmark Channel’s growing pet initiative “Adoption Ever After,” which uses entertainment programming to showcase the plight of homeless animals, as well as the joys that shelter pets bring to our lives. Check out times and other details at hallmarkchannel.com. 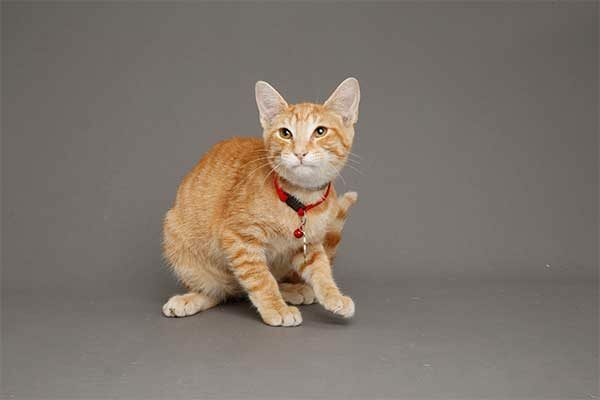 Sunday, Feb. 3: It’s Kitten Bowl VI! Get ready for some kitten cuteness on Super Bowl Sunday. Photography courtesy Hallmark Channel. It’s back! And giving pet lovers something to purr about on Super Bowl Sunday. Watch adorable kittens play ball – pouncing, hanging and tumbling. There will be close ups, a halftime show and even some un-catsmanlike conduct (they’re kittens, after all!). Find out who will win this years MVK! Kitten Bowl and Hallmark Channel will work with 1,000 shelter partners this year to use the program to get shelter pets adopted around the nation. Learn more at hallmarkchannel.com. 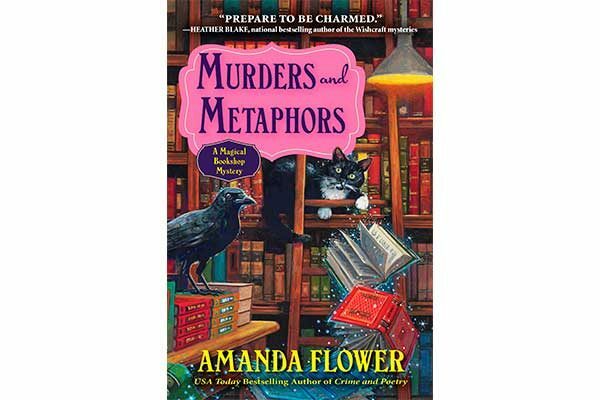 This new Magical Bookshop mystery is available today. Photography courtesy Crooked Lane Books. 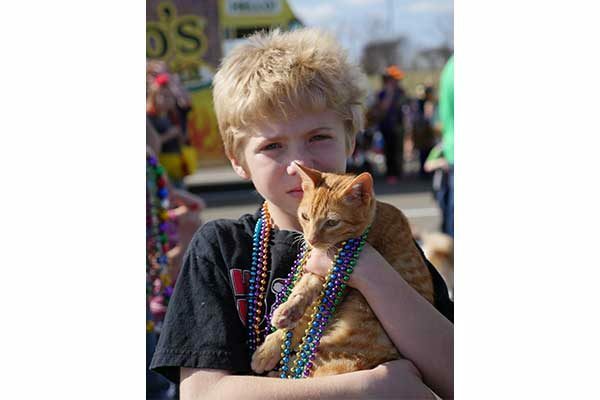 Join cats and dogs at the annual Krewe of Barkus and Meoux Mardi Gras Parade. Photography courtesy Pet Education Project. Join in the Mardi Gras fun at The Krewe of Barkus and Meoux (also known as The Animal Krewe) Pet Parade. Each year, thousands of costumed pets and their people gather to compete in costume contests and walk in a giant pet parade. This year’s theme is Steampunk Pups and Futuristic Felines. The parade is held from 12 noon to 4 p.m. at 2000 Reeves Marine Drive in Bossier City, Louisiana. Admission is $1 for adults; kids get in free. The cost to register your pet for the parade is $25 (per pet). Costume categories include: Best Dressed, Best Float, Best Interpretation of Theme and Pet/Owner Lookalike. For more information, visit barkusandmeoux.com.